1- "Prohibited Possessor" is now "Prohibited Household"
3- Mental case: Autism Next To Ban Gun Rights? Waterboard the President: Find out if he knows anything. Liberty, strength, honor, responsibility and safety. There it is in a nutshell. "It's the other side's views that are radical and extremist; this side has 250 years of history, law and tradition. We're moderate centrists -- you know, Constitution, rule of law, delegated powers, consent of the governed, free markets, free thought, individual responsibility, entrepreneurial spirit, profit motive, firearms ownership, morality, religion -- the basics that make America what it is, a shining beacon of hope and freedom for the entire planet." 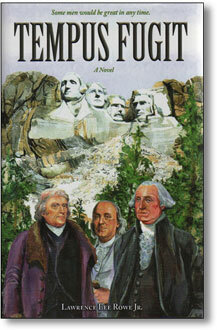 Summary: Washington, Jefferson and Franklin find themselves inexplicably transported to the future, and explore the country they launched two centuries earlier. 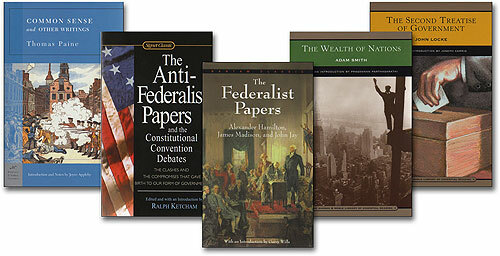 A fascinating examination of the Founders’ original values and hopes, contrasted beautifully with where we are today. Deeply insightful, amazing confrontations, a true masterpiece. 1- "Prohibited Person" is now "Prohibited Household"
drive a stake through freedom." 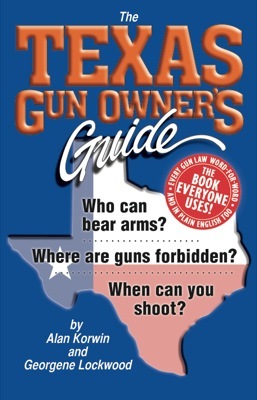 The concept of "constructive possession" regarding firearms is an affront to freedom and The American Way, https://www.gunlaws.com/TheAmericanWay.htm and should be abandoned in favor of actual physical possession with deliberate mens rea (criminal intent). Prohibited Households is a miscarriage of justice, and anyone attempting to prosecute such a case should be brought up on charges themselves, in an overdue application of 18 USC §241 et. seq. (denial of civil rights under color of law, look it up). We have to do everything we can to ban high-capacity magazines. Nobody needs these things and they have no place in our society, as we have said hundreds of times already, with no luck so far. First of all, ownership of property is not based on need. That's the communist model. No one is in charge of deciding what you need, or has legitimate power to tell you what you can or can't have in that sense. In this country, ownership of property is based on individual choice and ability to pay. You don't need 10 pairs of shoes, and no one is in a position to say otherwise (well, commies can, "to each according to his need"). The real question, if reporters were worth anything these days, isn't why does anyone need these, it's why would anyone want these. The entire "news" media can't answer that or even raise it when it comes up, yet tens of millions of people want and have them. The answer is simple: "For the same reason the police do." The "news" media is actually referring to "normal capacity magazines," a term you should start using, "the same as police use." Changing your language helps deflate their assault on your rights. Normal or regular capacity magazines, the same as police use. 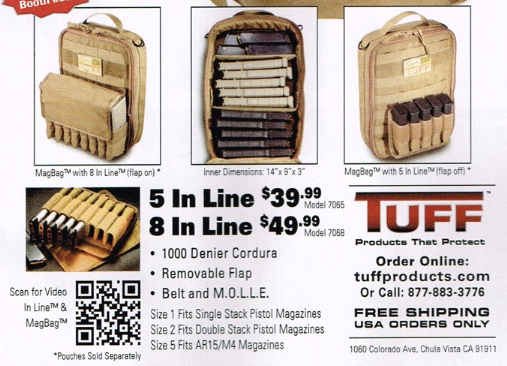 Experts are now marketing magazine carrying cases capable of holding multiple full-sized magazines neatly, because having only a few is insufficient when facing today's criminals and other miscreants (or tyrants, as we observe overseas). "Leave it to the free market to come up with an appropriate solution," said one tactical expert who refused to be named for this report. "Running out of ammo is not an option when you're life is on the line, and you face criminals who do not obey 'infringed-size' magazine laws passed by idiots in legislatures." Experts want as many rounds of ammo to protect them as possible -- and in the hands of their armed forces, the police and the public at large. What many people still don't realize is that police are second responders, another term you should start using, to upset the lie newscasters pound daily. The true first responders -- the crime victims targeted by criminals and terrorists, i.e., YOU -- must have at least equal means as the police. You face identical threats. It's just that you face them first. Typical product (this one marketed in American Cop magazine), offers easy transport and access of sufficient ammunition, pre-loaded into normal magazines, for ready use in an emergency. 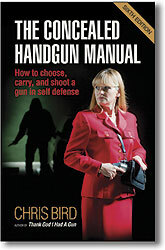 Police are professionals in self defense and the fight against crime, understand the need for (choose one:) full/normal/regular/factory/standard-capacity magazines. They sneer at ignorant legislative attempts to infringe on the public's right to have such crucial equipment, denying the public adequate protection. "It's much easier to disarm innocent civilians, which just leaves them helpless, than to take weapons from hardened criminals, which we have not figured out how to do, since Biblical times." What is it that makes the political left think they can finally accomplish that elusive goal -- disarm the bad guys -- by disarming the innocent? Could Dr. Michael Savage's book title be correct -- Liberalism Is a Mental Disorder? 3- Autism Next To Ban Gun Rights? NEW YORK (AP) -- "The government's estimate of autism has moved up again to 1 in 68 U.S. children, a 30 percent increase in two years. But health officials say the new number may not mean autism is more common. Much of the increase is believed to be from a cultural and medical shift, with doctors diagnosing autism more frequently, especially in children with milder problems. "The cause of autism is still not known. Without any blood test or other medical tests for autism, diagnosis is not an exact science. It's identified by making judgments about a child's behavior (emphasis added). "The new CDC report focused on 8-year-olds because most autism is diagnosed by that age. The researchers checked health and school records to see which children met the criteria for autism, even if they hadn't been formally diagnosed. Then, the researchers calculated how common autism was in each place and overall. "For decades, autism meant kids with severe language, intellectual and social impairments and unusual, repetitious behaviors. But the definition has gradually expanded and now includes milder, related conditions." As the Obama administration forges ahead with plans to ban the right to keep and bear arms based on poorly defined, fuzzy-logic mental-health "measurements" and "findings," the CDC has announced radically growing numbers of children now diagnosed with a potentially disabling condition. The "officials" admit they do not understand, cannot measure, lack a diagnostic test for, and cannot cure the condition, and they actually admit is growing because they simply declare more people to have it. Criteria for measuring the condition whose definition keeps changing, which is diagnosed based on judgment calls by doctors, have been relaxed from severe abnormalities to mild childhood behaviors, according to "scientific" reports just released. According to the AP report: "In the latest study, almost half of autistic kids had average or above average IQs. That's up from a third a decade ago and can be taken as an indication that the autism label is more commonly given to higher-functioning children, CDC officials acknowledged." Racist and sexist prejudices have been acknowledged by the experts as well, and drive this field of "medicine," as noted in their report: "Autism and related disorders continue to be diagnosed far more often in boys than girls, and in whites than blacks or Hispanics. The racial and ethnic differences probably reflects white communities' greater focus on looking for autism and white parents' access to doctors, because there's no biological reason to believe whites get autism more than other people, CDC officials said at a press briefing Thursday." With the practice of medicine proceeding this far from anything remotely scientific, and when even supposedly pro-gun-rights groups are pressing hard for mental-health bans on the right to keep and bear arms, serious gun-rights advocates are predictably worried. The American Academy of Pediatrics, a known anti-gun-rights advocacy group, issued a statement, saying the nation needs to step up screening for the condition and research into autism's causes. Experts say a diagnosis can now be made at age two or even earlier, though the CDC report says most kids are identified by age four. The AP report points out that: Autism support groups and advocates stand to benefit from increased diagnoses, as more patients equals more funding. "All vets are mentally ill in some way and government should prevent them from owning firearms." Widely web-circulated and attributed to Calif. Senate democrat Dianne Feinstein, she never said this in so many words. Her actual statement however, in the Senate Judiciary Committee (3/7/13) implied as much, and she called for careful scrutiny of veterans and their ability to keep and bear arms. She has not yet suggested the same for all gun owners or the public at large, for reasons that were unknown at press time. Speaking about access to so-called "assault weapons," a boogey man she has been fighting for decades, and soldiers who have PTSD or might develop it and cannot all be identified, she said we must, "find a way that veterans who are incapacitated for one reason or another mentally don't have access to this kind of weapon." And in still other news, Gun Owners of America has already reported that somewhere between 150,000 and 200,000 veterans have been added to the NICS Index, the federal list that voids the Second Amendment for anyone on it. [Senator Tom Coburn was given a figure by the Congressional Research Service that was around 140,000 in 2007. 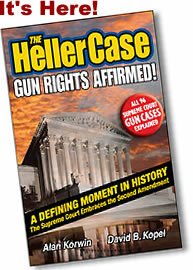 He shared it with GOA, see it here: http://www.gunowners.org/pdf/Coburnletter.pdf ]; Gun Owners of America has extrapolated from the 140,000 figure -- given that CRS said that 1,000 names were being added every month. GOA is a group that deserves your direct support: https://gunowners.org. These vets, men and women, were diagnosed, or treated, or committed, or were given drugs for PTSD. Exact details and numbers have been withheld by the government. The massive rights-denial scheme involved no trials, no representation, no appeals, and no luck, just a flat-out ban on the right to keep and bear arms, for former soldiers, for "mental" reasons. Normally, the VA appoints guardians and declares that the vets are unable to handle their own affairs. This then fulfills their twisted definition of prohibiting individuals who’ve been “adjudicated as a mental defective,” according to GOA. I asked if these tens of thousands of people whose rights have been stripped away get notice. "After the Veterans Disarmament Act, perfunctory notice is required, but we would be surprised if any veterans got a hearing before the appointment of a guardian. Rather, veterans have a very short time-frame to hire a lawyer and psychiatrist -- and contest the appointment at their own expense (normally, it’s around $10,000 or more)." To be clear: Everyone in the pro-gun-rights movement supports keeping guns out of the hands of truly crazy people. How you define and exclusively identify such people, what rights they retain and can have restored, and how to protect the innocent are legitimate concerns that many experts say are not receiving significant attention. That's putting it too nicely. These rights are about to be trampled. How to prevent government (and others) from using crazy people as an excuse in the evident ongoing effort to shrink or eradicate the right of the people to keep and bear arms, is a legitimate concern and a high priority. Operatives working within government to fabricate so-called "mental health" as a means toward infringing upon rights or disarming the public, even incrementally, should be brought up on charges and prosecuted to the fullest extent of the law. 18 USC §241 et seq. Denial of civil rights under color of law is a felony. 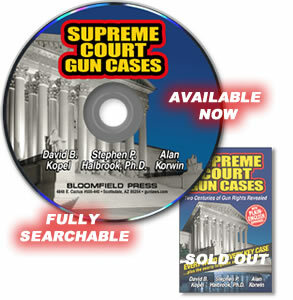 There are three more SCOTUS gun-related cases that have not been addressed in Page Nine or by Bloomfield Press (my publishing company) yet. I'll get to them soon, I promise. written with lawyer-experts David Kopel and Stephen Halbrook. See the entire list of cases on that page. If you know of one we missed, speak up. When it comes to Supreme Court cases, the "news" descriptions, and what the decision actually says and means are usually night and day. Read the decisions, they are your law, fascinating in most cases. Sickening in how different they are from what the media tells you. 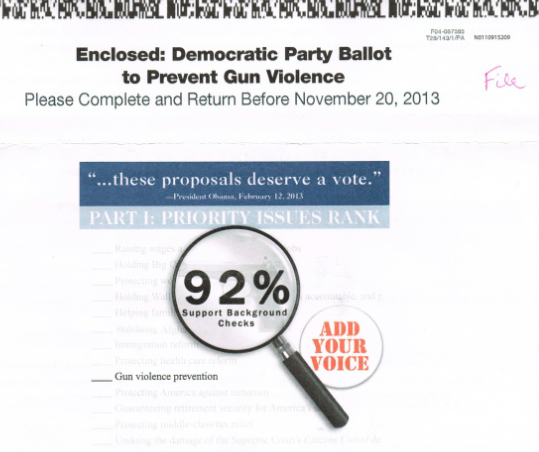 The media largely ignored this gun-related case. Rosemond concerns whether a prison sentence should be increased because someone during the commission of a drug sale (one pound of pot) fired a gun. Legally speaking, it's about aiding and abetting a crime, and the difference between taking actions, wanting to (known as mens rea, a guilty mind), and foreknowledge of events. It's an exciting story, with a drug deal, theft of the goods, seven shots from a 9mm with no hits, no gun found, witness stories all over the place, and many facts never established. Having, brandishing or firing a gun during certain drug crimes increases the sentence (5, 7 and 10 years). It was never determined who exactly fired the gun, but the government sought the added charge and jail time because a gun was used. What's important to recognize in this case is that the government argued, in essence, that anyone involved in a crime is guilty of all aspects of the crime, no matter who committed them or what you thought. This is extremely dangerous for the public, because it means if you have even remote connection to some illegal act, the government's inclination is to presume you are guilty of the worst part of whatever took place. That may have some value in dealing with gangs who, as the government pointed out, often act in concert to achieve some criminal end. But it is a terrible precedent for the innocent. Any wrong-minded youth (or adult) who gets mixed up (or suckered into) something, would end up as guilty as the people who are really bad actors, if the authorities have their way. The potential for abuse is too great to allow on those grounds alone. Like RICO forfeiture, they could condemn everything in sight, lock everything up, just for the bad acts of a lone individual. Now, the Supreme Court shut down this line of thinking 7 to 2, in a decision written by Elana Kagan. This time. But the fact that your government, here to help you, is thinking this way, is a very bad sign. March 15 marked the 15th anniversary of GunBroker.com, the world's largest online auction site for firearms and accessories. Growth has been steady, as the company last year recorded nearly $1 billion in sales and cemented its position among the 400 largest U.S. websites. The most popular sidearms for February: 1st - Smith & Wesson M&P, 2nd - Sig Sauer 1911, 3rd - Colt 1911, 4th - Sig Sauer P238, 5th - Sig Sauer P226. For semi rifles it was: 1st - Ruger 10/22, 2nd - Smith & Wesson M&P, 3rd - Kel Tec Sub 2000, 4th - Ruger Mini-14, 5th - Springfield M1A. GunBroker's average customer is tech-savvy, under forty, and has a median household income of $88,000. 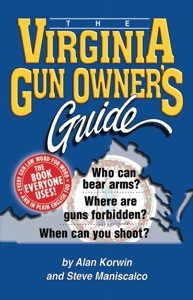 The site attracts 5.5 million visitors monthly and averages about 650,000 firearms for sale at any one time. This excellent news, reflects the fact that America is strong, businesses are thriving, the public has money to spend, and things are working the way they should. If the daily drumbeat of the "news" media has you convinced otherwise, even if your own situation is presently less than ideal, know that this country can overcome all its obstacles, foreign and domestic, and so can you. Good news! The bills listed below have been scheduled for Senate Committee of the Whole (COW) hearings on Monday, April 14. 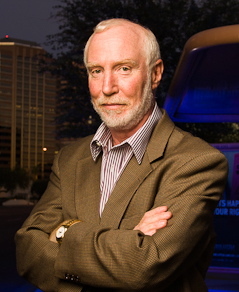 AzCDL (approaching 11,000 members) thanks everyone who has already contacted their Senator! If you have not yet sent your emails to your Senator on these bills, please do not hesitate any longer. To access your letter, simply go to the AzCDL Legislative Action center, and take care of business. The following are the bills that are scheduled to be heard on Monday, April 14. HB 2339, the AzCDL-requested bill that would allow CCW permit holders to carry in public buildings (unless everyone entering is screened for weapons). HB 2483, which would strengthen the protection of the lawful use of firearms, air guns and archery equipment on private property. 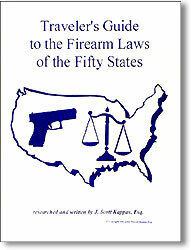 HB 2535, which would require local law enforcement to sign required NFA transfers within 60 days after receiving a request for certification. We expect the following bills to be heard later in the week. If you have already sent your letters - Thank You! If not, there is still time to contact your legislators. Go directly to the AzCDL Legislative Action Center to send the message we have prepared for you. HB 2103, the AzCDL-requested bill lowering the age limit for CCW permit eligibility to 19 for those with military service, has cleared the Consent calendar and the Majority and Minority caucuses, allowing it to bypass a COW hearing. It will soon be scheduled for a Senate Third Read vote. 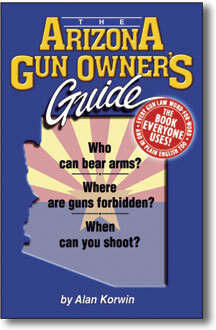 HB 2338, the AzCDL-requested bill that adds to the definition of Aggravated Assault the illegal taking, or attempted taking, of a legally possessed (i.e., your) firearm, passed out of the Senate Rules Committee on April 9, and will soon be scheduled for a Senate COW hearing. 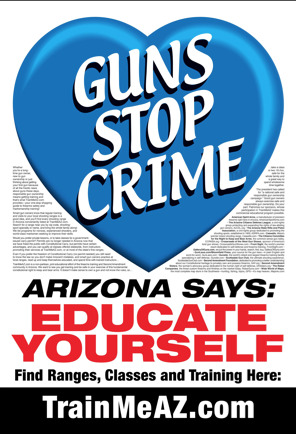 SB 1063, the AzCDL-requested bill that would make “no firearms” signs on public buildings unenforceable unless the statutory weapons storage requirements are followed, needs to pass out of the House Rules Committee before it can proceed to a House COW hearing. SB 1366, which clarifies the definition of a firearm, also need to pass out of the House Rules Committee before it can proceed to a House COW hearing. As bills progress AzCDL keeps you informed via direct alerts. Watch for the "Action Alerts" on bills needing your help using the Legislative Action Center. Don’t forget! Every AzCDL member who sends the emails generated from the Legislative Action Center will be entered into the raffles for Brownells gift certificates. These alerts are a project of the Arizona Citizens Defense League, an all-volunteer, non-profit, non-partisan grassroots organization. Copyright © 2014 Arizona Citizens Defense League, Inc., all rights reserved. "I just recently started listening to Armed American Radio, and I heard you as a guest there this past week. That's what prompted me to go to your website and sign up." "I read your column in American Handgunner magazine and wanted more." "I was listening to the latest podcast of Armed American Radio that you were a guest on and I was interested in what you had to say about what is going on with our 2nd Amendment rights. I am always looking to stay informed on what is going on and found your web site and blog a good source of info." "Hi Alan, I heard about you and your work from the Armed American Radio broadcast from last week. Thank you for all you do!" "I changed my email address and didn't want to miss Page 9. It's such a great read. I also listen to you on Armed American Radio. I love your stuff. You're so much fun to listen to. Keep up the good work." "I listen to Armed American Radio !!! Love the show and all that you guys do, decided it was about time I followed the links you mention in shows. I am a certified NRA Instructor at and participate in the IDPA at our local conservation/sportsmans club, member of the USCCA and believer that if every American was a responsibly armed citizen our great nation would be a better place. Keep up the good work !!" "I heard about, and heard you on Armed American Radio with Mark. I recently obtained my CCW here in Ohio and want to learn as much as I can about my rights, my freedoms, and the stupidity of my government trying to take those away. Hope that helps." "Thank you for what you are doing. 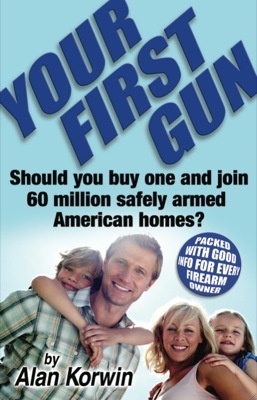 And THANKS for helping keep gun owners safe. I live in SE Alabama, so not much worry here. Too many of us ole farm boys. But it could change over night." "Your site is extremely helpful for what I'm doing and making it easier to develop communications pieces for the various groups I will be engaging - friend and foe alike. In a word, your site is helpful." "Heard you on the radio last evening speaking about gun laws and what not. Very interesting. I like what you were saying and like to keep informed by somebody other than the normal media. Generally don't listen to radio much late at night but I had to make late evening trip to my veterinarian and found you on a station I think out of Iowa. I live in Wyoming. Haven't had much time to look at the site or read much yet but what I did see, I really think is good." "I found you on Armed American Radio. I thoroughly enjoy listening to the "Alan Korwin Experience" whenever you're on. I was prompted to join because it's now or never - I will no longer be a spectator on the sidelines for these issues, and I figure you're one of the best sources of education out there. Keep up the great work!"